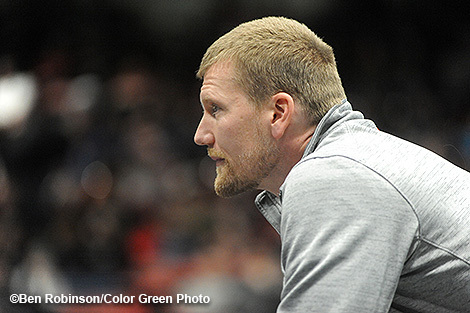 Covington coach Eric Vanderhorst keeps an eye on one of his wrestlers as they compete in the first day of the district tournament. Austin Flick is still alive in the consolation bracket at 138 pounds. Gavin McReynolds moves on to the second day of districts at 182 pounds. 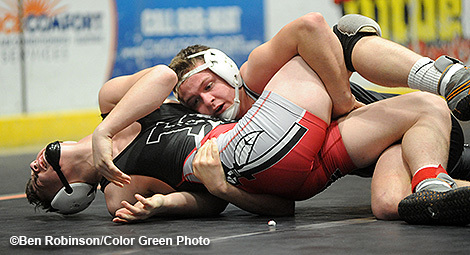 Nine Buccaneer wrestlers made the trip to Troy's Hobart Arena for the first night of district wrestling, but the day didn't start out so well as one of the wrestlers saw his season come to an end without even stepping on the mat. Freshman 160-pounder Duncan Cooper, who was runner-up last week at sectionals, was unfortunately not permitted to wrestle due to a skin condition that had materialized unexpectedly. He ends his freshman campaign with a very impressive 23-6 record and as a district qualifier. 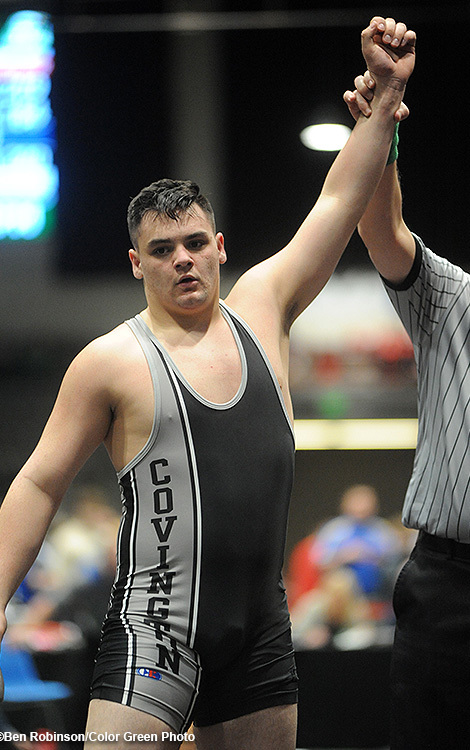 This left the Buccaneers with eight wrestlers who were able to compete and all but one advanced to the second day with four reaching tomorrow's championship semifinals. The first Buccaneer to reach the championship semifinal match was freshman 106-pounder Kellan Anderson, who opened the tournament by gutting out an 11-9 win over Wilber Compress of Cincinnati Reading. Anderson then knocked off the champion from the Lehman Sectional, Luke Stroud of Mechanicsburg by the score of 4-0 in the quarterfinals. He will wrestle Caleb Schroder of Troy Christian in the semifinals tomorrow in a rematch from sectionals where Anderson came up short in overtime. Fellow freshman Cael Vanderhorst was equally impressive as he pinned Bluffton's Tayton Kleman in 1:53 in his district opener at 113 pounds and then defeated Jacob Edwards of Bidwell River Valley by the score of 3-0 to set up a semifinal matchup against Brian Chmielewski of Coldwater tomorrow. At 152 pounds Buccaneer junior Keringten Martin reached tomorrow's semifinal bout, where he will face Matt Hall of Bethel-Tate, who was the champion of last week's Bluffton Sectional. Martin opened the tournament with an 18-3 technical fall victory over Eli Moore of Wayne Trace and then defeated Hayden Pummel of Indian Lake by the score of 7-2 in the quarterfinals. Pummel was the champion of the Lehman Sectional a week ago. The final Buccaneer to earn a spot in tomorrow's championship semifinal was Gage Kerrigan. The sophomore 195-pounder was dominate in his first two matches at districts as he pinned Matt Schmersal of Ottawa-Glandorf in 27 second and then pinned the Bluffton Sectional Champion, Nate Owens of Bethel-Tate in 2:29. 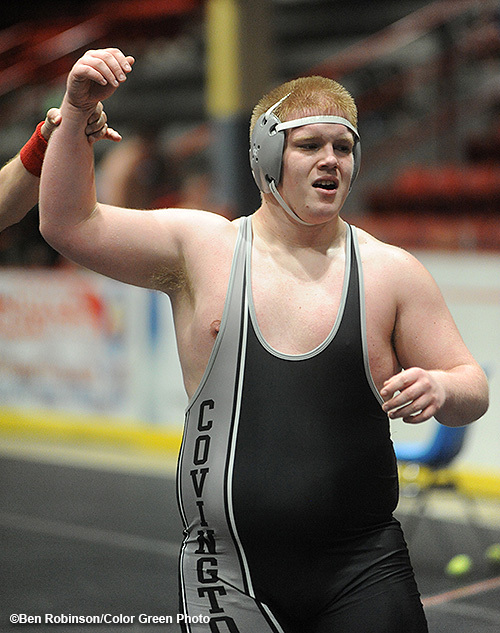 Kerrigan will face the Lehman Sectional Champion, Zach Banks of Middletown Madison, in tomorrow's semifinal match. 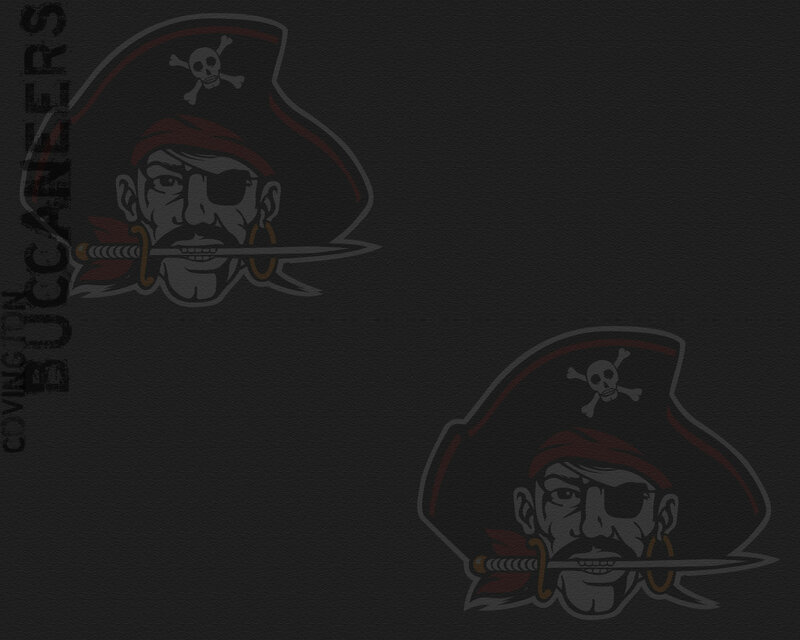 Three more Buccaneers advanced to the second day in the consolation bracket as sophomore Austin Flick rebounded from a heartbreaking 4-2 defeat to Colton Robins of Reading (the Bluffton Sectional Champ) by defeating Ethan Meyer of Parkway by the score of 6-4. Flick will wrestle Drew Price of Middletown Madison, who is the Lehman Sectional Champion. Junior 182-pounder Gavin McReynolds also rebounded from an opening bout defeat as he pinned David Price of Clermont Northeastern after losing to Connor Dixon of Indians Lake, who was the sectional champ from the Lehman sectional. 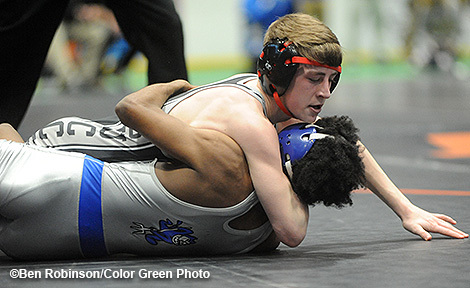 McReynolds will face Quincy Brown of Middletown Madison tomorrow in the consolation rounds. The final Buccaneer to advance to the second day did it in thrilling fashion as senior Bryce Keiser rebounded from a loss to Coldwater's Thomas Schweitertman to defeat David Parsons of Lincolnview 1-0. Keiser will face Jayden Hetsley of Arcanum (the Lehman Sectional Champ) tomorrow in the consolation rounds. The lone Buccaneer to wrestle and not make it to the second day of the tournament was freshman 170-pounder Trentin Alexander - who weighed in just under 155 pounds. Despite giving up a significant amount of weight and being a freshman, Alexander wrestled very well against stiff competition. He ends his freshman season with a record of 19-14. Wrestling resumes tomorrow morning at 10:00am with the consolation matches taking place before the championship semifinals. Keringten Martin captures a big win in the quarterfinals at 152 pounds. 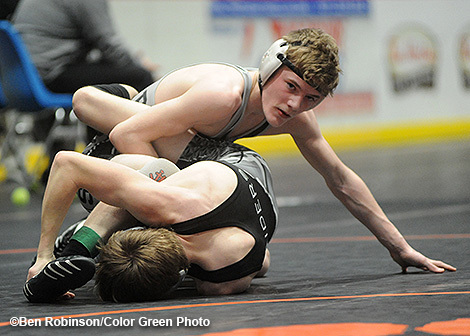 Freshman Kellan Anderson advanced to the semifinals at 106 pounds. 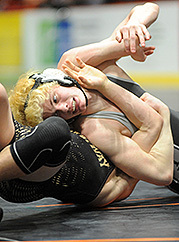 Cael Vanderhorst, a freshman, advanced to the semifinals at 113 pounds. 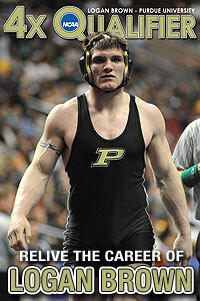 Sophomore Gage Kerrigan pinned his way into the semifinal at 195 pounds.